I’ll be speaking about Java Security Myths at Berlin Expert Days (BED-Con) on April 3rd/4th 2014. Hope to see you there, it’s about time to develop secure Java web applications! 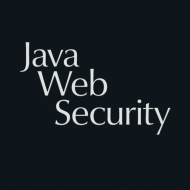 I’ll be speaking about Java Security Myths at the DOAG 2013 conference in Nürnberg. My (German) session is on November 21st at 10 a.m.